This Boeing 737-200 Combi is flown by Canadian North Airlines, owned by Nor Terra Inc., which is, in turn owned by the 100% aboriginal Inuvialuit Development Corporation. 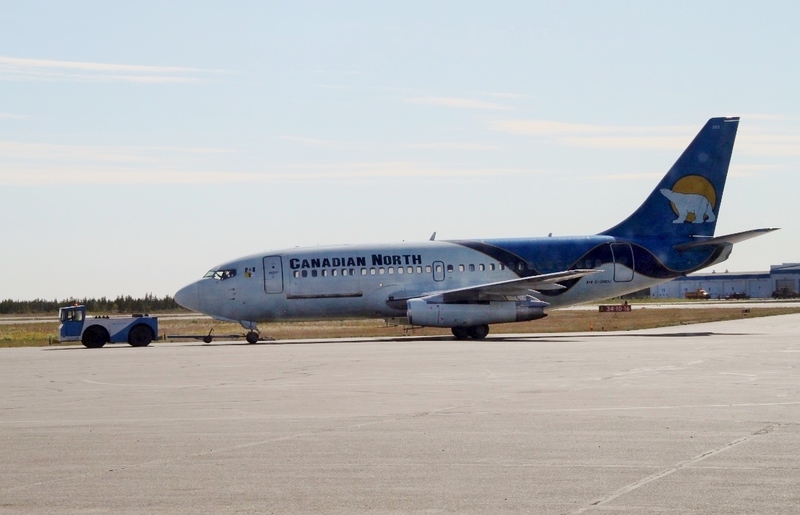 Canadian North flies to Northwest Territories and Nunavut destinations from Edmonton and Ottawa. The Boeing 737- 200 Combi is able to land on both gravel and ice air strips. Canadian North currently has nineteen aircraft in its fleet. Ten are Boeing 737 - 200 Combis. The Canadian North aircraft tail art shows a polar bear with neck stretched up against a yellow disc on a blue background.